On the 6th February 2019 a Westminster Hall debate was held, initiated by Alex Cunningham, Labour MP for Stockton North, on Offshore Helicopter Safety. The central purpose of the debate was to call again for an Independent Inquiry into Offshore Helicopter safety. The background report, published to support the debate, covered the tragic legacy of the Super Puma airframes and the political and regulatory interventions to date. In spite of the damning details the Minister of State, Jesse Norman (Department for Transport) said, in relation to the question of a public enquiry: “We take these matters extremely seriously and we have given the question careful consideration, but we are not yet persuaded that that is the right thing to do [i.e. hold a Public Inquiry]”. 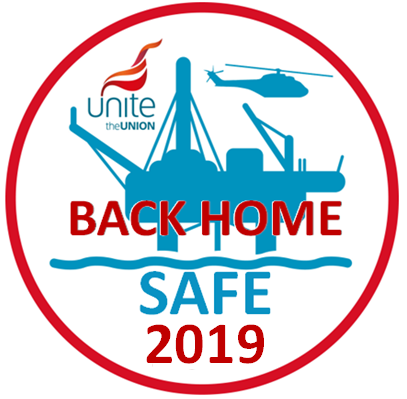 Unite, along with sister trade unions in the OCG will continue to campaign for a full Public Inquiry into Offshore Helicopter Safety and to stand strong and resolute against the reintroduction of the Super Airframes into active service on the UKCS now and in the future. Unite ‘welcomes’ Super Puma accident report05 July 2018Unite the union today (Thursday 4 July) has welcomed the findings of Norway’s Accident Investigation Board (AIBN) report into the Airbus Super Puma helicopter that killed 13 people in April 2016. The AIBN report concluded the fatal crash off the Norwegian coast was a result of metal ‘fatigue fracture’ in the helicopter’s gearbox. Among the recommendations the AIBN has made is that the manufacturers Airbus should take another look at the design of the main gearbox of the Super Puma and the EU Commission must strengthen the information access which investigators should have in the event of a crash. For further information, please contact Unite regional officer Tommy Campbell on 07810157920. One of the great questions of 2017 for the trade union movement in Scotland has been “What is to become of the Super Puma 225 helicopter?” That question has been raised well beyond union circles because of Unite Scotland’s campaign against any return of the Puma to the North Sea for transferring workers from the heliports outside Aberdeen to the oil rigs. Our slogan of the year has become “No Comeback for the Super Puma. Keep the North Sea Puma Free.” So why the controversy about this aircraft? Death is really the answer to that question. In April 2016, 13 people died after a Super Puma EC225 crashed west of the Norwegian city of Bergen. In effect operation of the Super Puma in the North Seas has been banned since then. The 2016 crash followed two crashes in 2012 in Scotland. Both crashes, which did not result in fatalities, were blamed on gear box problems. In 2009 all 14 passengers and two crew died when a Super Puma came down in the North Sea close to Peterhead. In total since the 2009 crash 33 families have lost loved ones who stepped aboard a Super Puma helicopter. Our members have made it absolutely clear that they have lost confidence in the helicopter. That confidence is not going to return – ever. Even in-house surveys conducted by Airbus the manufacturers of the Super Puma back that up. In August 2017 Airbus published details of a workforce survey about the Super Puma. It revealed that 62% of those surveyed would not want to use the Super Puma. Ever. A further 15% said they would not be comfortable boarding one until more guarantees about safety changes had been delivered. So it is abundantly clear that even in Airbus surveys there is considerable opposition within the workforce about the Super Puma. Unite has organised a petition opposing any return of the Super Puma and at the heliports workers have signed up in their thousands to show their opposition. These numbers, along with the Airbus Survey are significant about the feelings of those who have to get into a Super Puma to get to work. That type of stand is being matched by other major companies. ConocoPhillips say they also are using alternatives to the H225. BP, Shell and Compass are on record as saying until the findings of the causes of the Norwegian 2016 crash are known there can be no consideration of using the Super Puma. So given the past and where we are at present would you travel across the North Sea to your work in a Super Puma? Or would you be happy about a loved one doing the same? 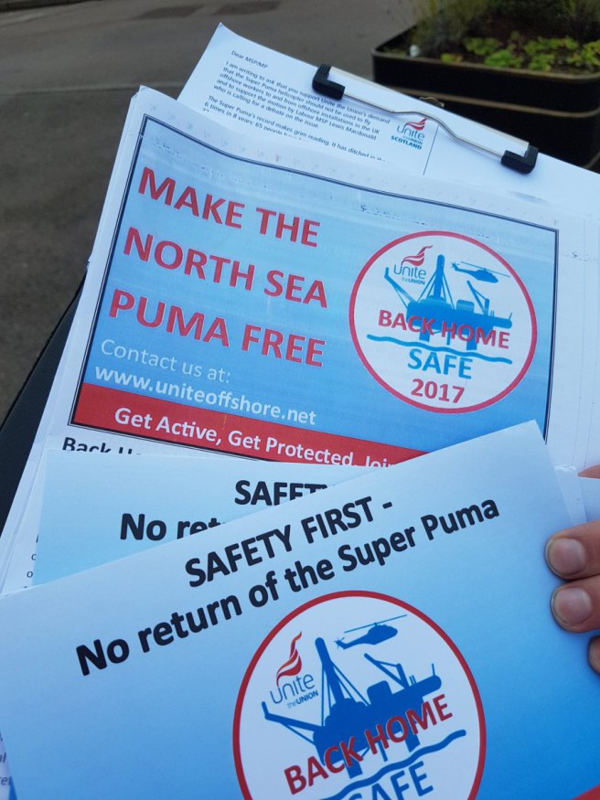 Get Involved with Unite's Keep The North Sea Puma Free Campaign Today. For more information contact the Unite Organising Team. Click Here. Scotland’s transport minister is undecided on whether to support calls for an independent public inquiry into North Sea helicopter safety. Humza Yousaf met a delegation of trade union representatives yesterday in Edinburgh to hear their fears about offshore transport safety. Mr Campbell said both sides intended to meet again in the New Year to “follow up on some of the points made”. North-east Labour MSP Lewis Macdonald said the dialogue was still open, but that the Scottish Government had not yet made its position known. 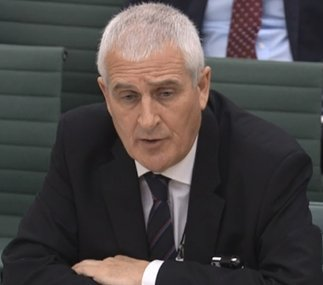 Mr Macdonald said: “The Scottish Government has not dismissed the possibility of a public inquiry, but they haven’t got behind it yet either. Ultimately, a public inquiry would require the backing of the UK Government, but unions are hopeful that support from the Scottish Government would strengthen their case. Mr Macdonald added: “We want to convince the Scottish Government that the best way forward is to have an independent public inquiry. Mr Macdonald tabled a member’s business motion to bring the debate into the Scottish Parliament in October. Several MSPs backed calls from unions for an inquiry at the cross-party debate in Holyrood. Mr Yousaf said at the time he was prepared to meet those who want an inquiry. 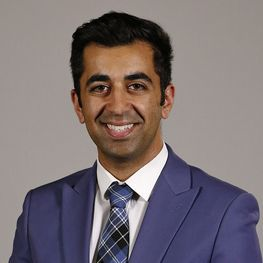 But he clarified that the lifting of flight restrictions was a matter for aviation regulators, not the Scottish Government. A Transport Scotland spokesman said: “The health and safety of oil and gas workers in the North Sea is of paramount importance to the Scottish Government and the transport minister had an informative and constructive meeting with union representatives, where he heard their views directly on helicopter safety. Scottish Politicians from across the political spectrum agree that offshore workers need to have confidence in the way they get to and from work. “We welcome a debate in the Scottish Parliament around helicopter safety in the transport of oil and gas workers in the North Sea, however, action is required to protect offshore workers. Unite position is clear that the Super Puma helicopter should not be used to fly offshore workers to and from offshore installations in the UKCS. The Super Puma’s record makes grim reading. It has been involved in accidents and incidents. 6 times in 8 years; 65 people have been rescued from the North Sea and 33 workers have lost their lives. All were involved in traveling to or from installations in a Super Puma 225. The decision to lift the ban has rightly angered the offshore workforce. A survey by Airbus and a petition by Unite have identified thousands of workers declaring that they have no confidence in the safety of this helicopter and that they do not wish to fly in these helicopters again. The Oil and Gas industry is vital to the local and national economy. The oil companies and contractors claim their most valuable asset is the workforce if that’s the case then follow the Statoil lead and commit to not using the Superpuma 225s to transport your employees to and from offshore installations. Unite's question to the Oil companies is clear are you just paying lip service to workers safety and are you more concerned with your profit and shareholder value than offshore workers safety and wellbeing? If that is Not the case then follow Statoil, and publicly commit, that you will Not use the SuperPuma 225s to transport offshore workers to and from offshore installations in the UKCS." Shell and BP said they would not consider returning the aircraft to service until the root cause of the Norway crash is found. 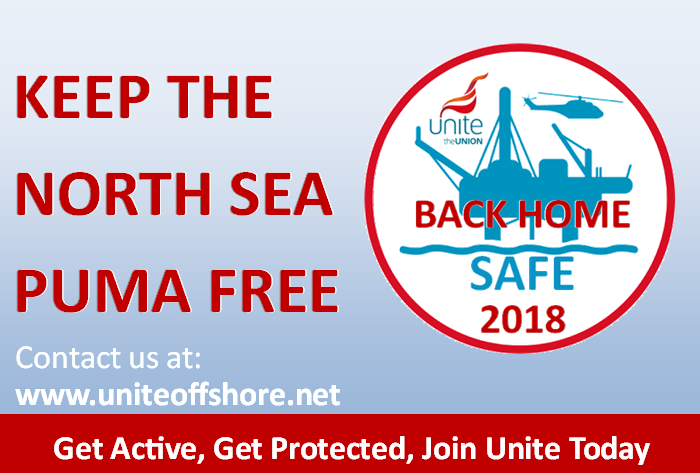 Unite is campaigning for the Airbus Superpumas H225 and AS332 L2 to not be reintoduced into commercial operations in the UKCS and to be permanently removed from the service of transporting offshore workers. We invite all offshore workers, the family and friends of offshore workers and any other person who, in principle, believes that the safety of offshore workers should take prescience over operator profits, to sign our petition. To sign the Back Home Safe 2018 petition click here.